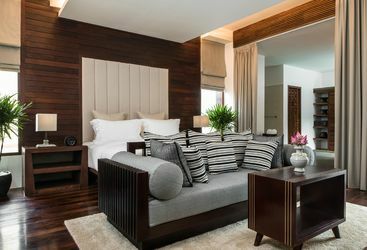 Once the seat of the ancient Khmer Empire, over one thousand temple ruins remain in the Angkor region, encircling the town of Siem Reap with its chic luxury hotels, and some of Cambodia's finest restaurants. 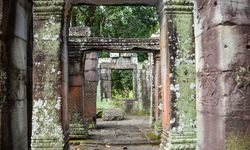 The main draw is, of course, the majestic UNESCO heritage Angkor temple complex. 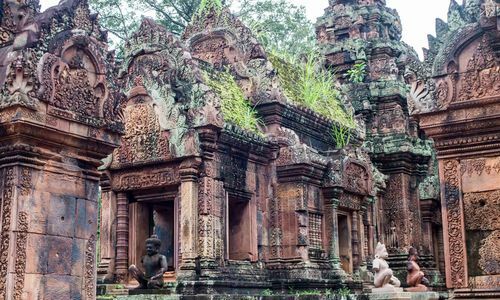 From the iconic sunrise shot of Angkor Wat's three lotus shaped peaks, to the jungle clad ruins of Ta Prohm, there are plenty of archaeological gems to explore. 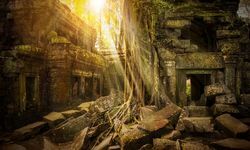 The vast complex contains the remains of the former imperial capitals of the Khmer civilisation that ruled this part of the world between the 9th and 14th centuries. 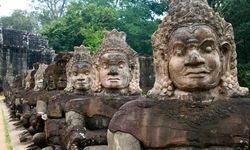 After falling under Thai rule in the 14th century, a Khmer rebellion in the 15th century resulted in the empire moving South, and so the temples of Angkor were abandoned and forgotten for several centuries. 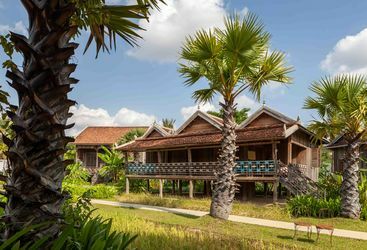 The town of Siem Reap is the perfect base from which to explore the temples, offering a plethora of luxury hotels, and a booming gastronomy scene. Many of Cambodia's finest restaurants lay in Siem Reap, alongside stylish cocktail bars and a bustling nightlife. 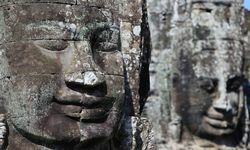 The town is also home to a vast array of galleries and workshops, with Siem Reap at the heart of the arts revival in Cambodia. 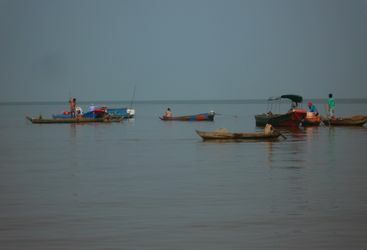 As a day trip from Siem Reap a visit to Tonle Sap Lake is highly recommended. 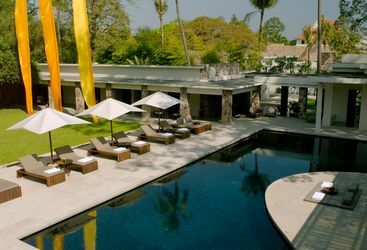 This secluded enclave was built in the 1960s as the guest villa of King Sihanouk. 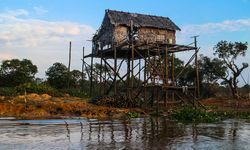 My highlight: A floating house in the middle of Tonle Sap Lake is a great spot to watch the world drift by - take a picnic. 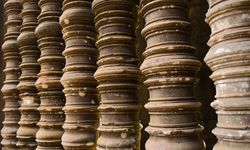 Frances is one of our keen Asia Travel Experts with extensive travel experience throughout the Far East and India. Rosie is back from maternity leave and selling Asia like hot cakes. She's also married to George of 'Sharky & George' fame. Small world! 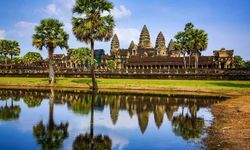 Cambodia is reasonably affordable: a 10-day itinerary starts from approximately £1,800 per person (excluding flights), though stays in the most luxurious hotels could cost up to £6,000 per person for a trip of the same duration. 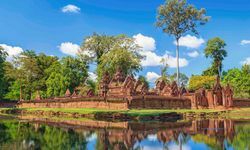 There are no direct flights to Cambodia, so these commonly cost from £700 per person.